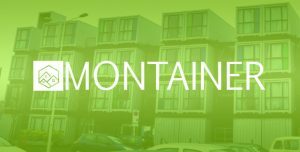 Montainer is a team that you can trust to build your tiny house dream. Please find testimonials and stories from some of our satisfied clients below as we add them to our testimonial page. I fully embraced permanent living in my lofty container home in Tampa, Florida. I now reside next door to my daughter and her husband, in a 12m container that I can call my cozy home. At first, I thought about huge earth homes and that sort of thing but I realize I am too old for that now. I didn’t want to have a mortgage at any cost and I wanted something easy to look after. My 30sqm cozy home has a small office, a mezzanine floor bedroom, mini log burner and separate bathroom. My companion Suzy, the dog, and I have plenty of room. Although it is far away from my job, I am honestly loving my rural life. Waking up every day to different skyscapes over the valley doesn’t require for curtains up here. Thank you Montainer for my beautiful tiny home. What an excellent service, the staff was very helpful nothing was too much trouble for him. Please pass on my gratitude to them, for being most helpful and getting my container home to us so quickly. Hi Daniel, just a quick note to say thank you so much for our container home. It was perfect! The design looks great too. The one who delivered it was so friendly, helpful and very professional. I look forward to working with you again one day. Keep up the good work! I just want to write a quick email to say thank you. Production and delivery are on time and very efficient. I’m very happy with my container home. Many thanks for providing an excellent service. Your staff was on time and professional, dealing with the loading without fuss.